Timber is becoming more cost competitive as steel prices rise, and the use of pre-fabricated wood panels allows for quicker construction with less labor. Winnipeg: More than a century after steel and concrete became the standard for building high-rise buildings, the humble tree is making a comeback. Sidewalk Labs LLC, a unit of Google parent Alphabet Inc., is planning to use timber to construct all of its buildings for a mixed-use community along Toronto’s eastern waterfront. Meanwhile, Oregon became the first U.S. state to amended its building code to permit taller buildings made from timber. 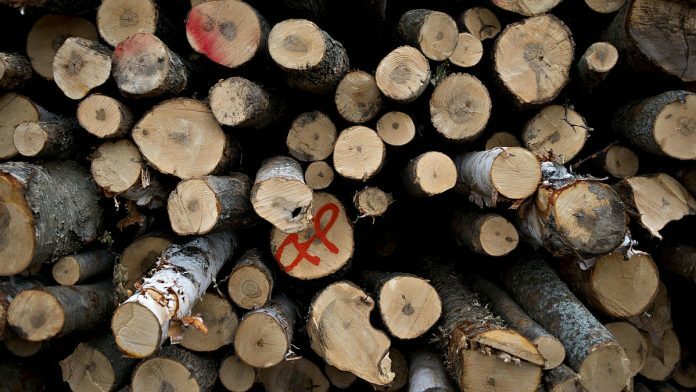 Tests have shown the timber has good levels of fire resistance — close to three hours in some cases — even when unprotected, according to Ottawa-based government agency National Research Council Canada. Additionally, cross-laminated timber doesn’t need to cure like concrete, speeding up construction and reducing the on site-equipment needed, Glowinski said. Mass timber design can achieve a 15 percent reduction in operational costs compared to the baseline, and results in a significant reduction in carbon emissions during operations, according to a November Seattle mass timber tower case study by design firm DLR Group. Mass timber could account for about 1.5 percent of North America’s lumber market by next year and could be worth about $2 billion globally by the mid-2020s, ERA’s Mason said. The gains could more than offset the declining use of lumber in single-family homes as builders construct more smaller, starter homes, Martin Juravsky, chief financial officer of Vancouver-based lumber producer Interfor Corp., said at a Jan. 28 investor conference.